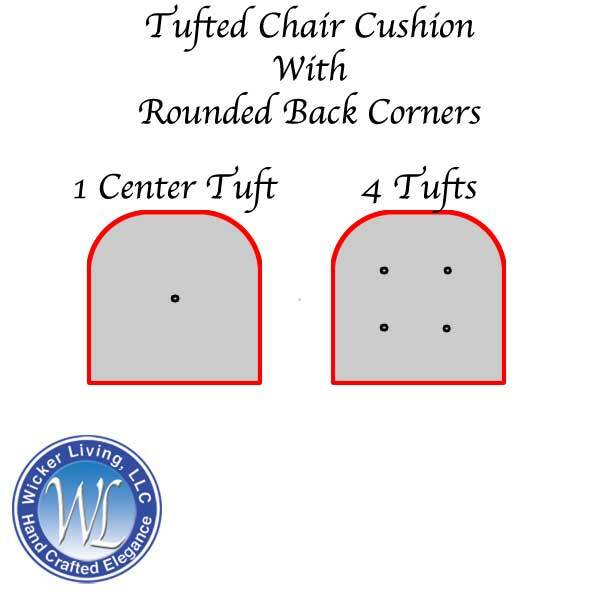 Our Deluxe Tufted Chair Cushions Are Made In The USA! Indoor and patio tufted chair cushion for conventional shaped chair and rocking chair furniture with rounded back corners. Often referred to as wicker chair cushion. 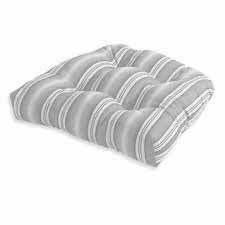 Replacement cushions are available in various sizes. Order cushions from you choice of fabric. Optionality available are the number of tufts you want in the cushions and adding ties. Patio chair cushions are generously filled with pure spun polyester fiber for ultimate comfort. 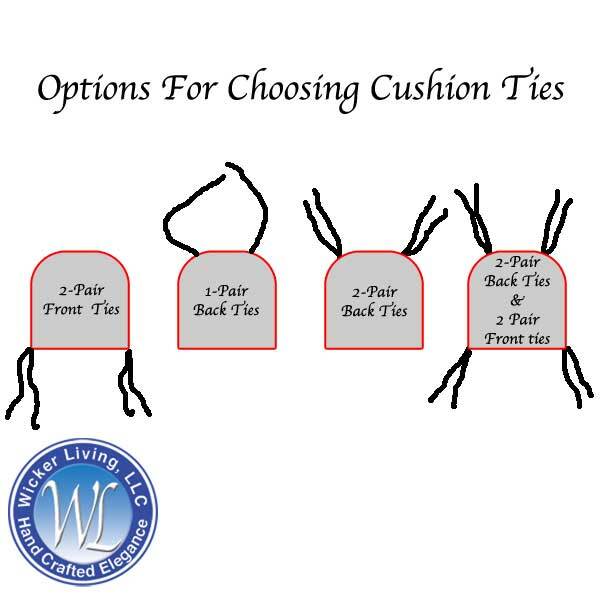 Number of Ties and Placement: Ties help keep a cushion stationary but are not needed for most indoor and patio chairs with arms or sides. Should you want ties, this is where you can specify how many ties you want and where you want them placed on the cushion.